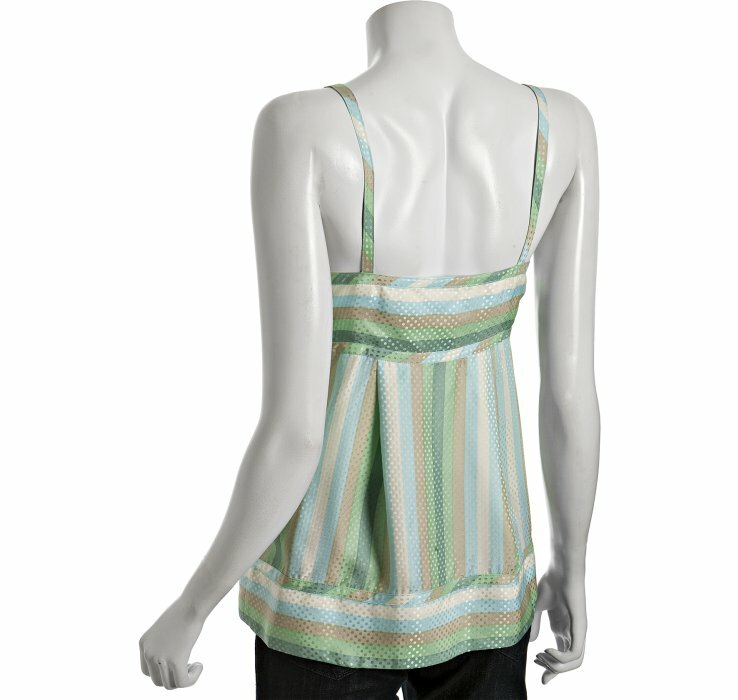 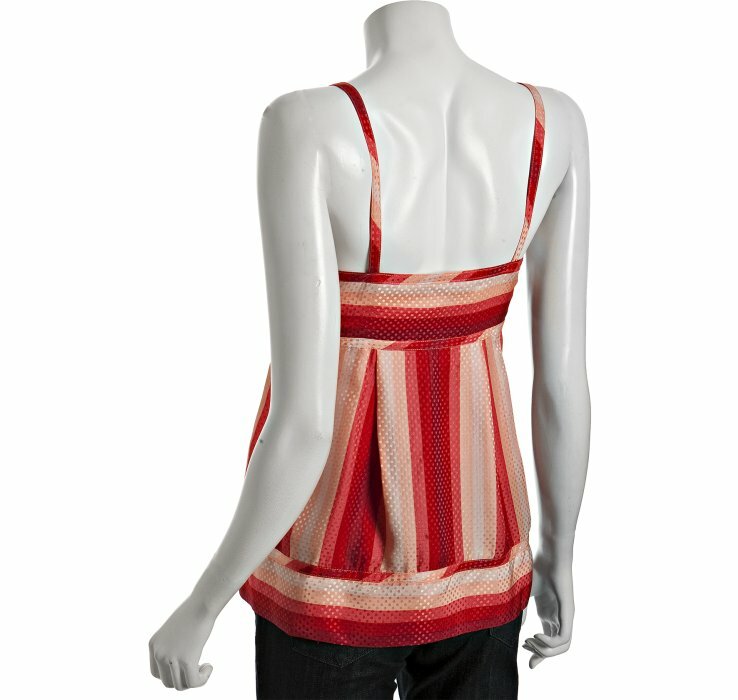 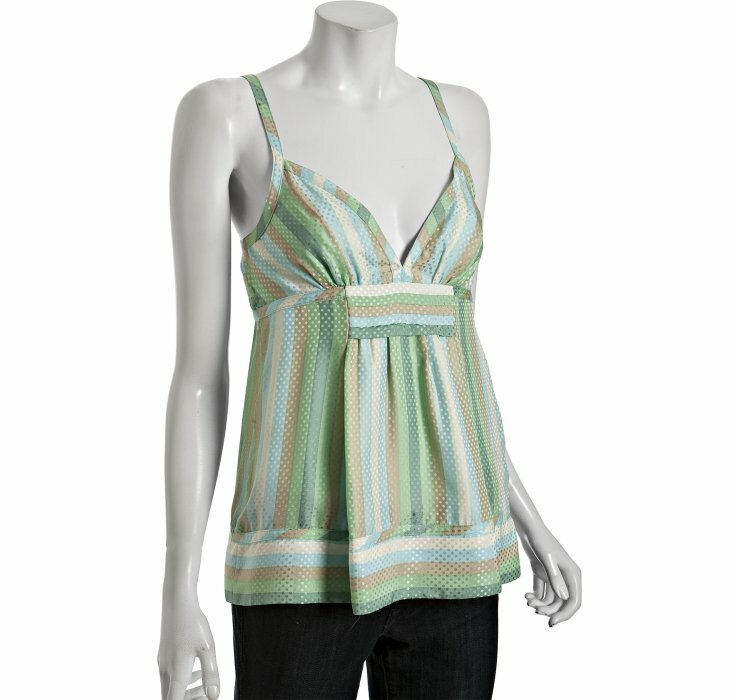 Shimmery silk tank top has a festive stripe and polka dot pattern in hues of red. 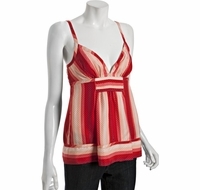 Plunging v-neck. 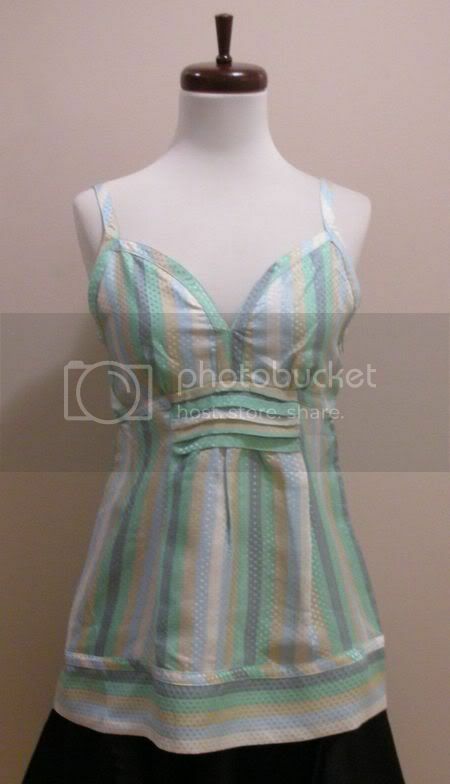 Pleated Empire waist.